Evil twin is a term for a fake WiFi access point, it appears to be a legitimate one offered on the premises, but it has been set up to snoop "spy" on your wireless communications. The attacker fools wireless users to make them connect to a tainted hotspot by posing as a legitimate provider. 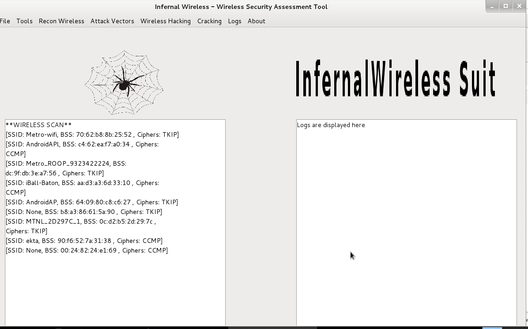 This tool was created to help the auditors and penetration testers to perform wireless security assessment in a quick manner and easing complex attack vectors. which can get complicated and hard to manage when executed manually. 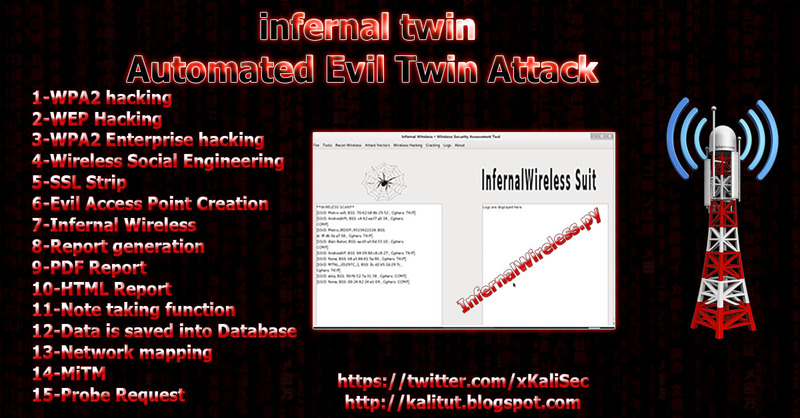 how Evil Twin attack work ? he can also serve you to a fake login page for any of the website you are trying to open . yes you sensitive data is between the attacker hands once you connect to a fake wifi, The attack scenario could be exploited to run man-in-the-middle attacks or to serve malware to the computers in the targeted network. To protect your users from fake wifi connection you can use EvilAP Defender its an application that will help you discover and prevent Evil Access Points from attacking wireless users. You can setup the application to run in regular intervals to check if there is any fake access point and protect your wireless network from Evil Twin attacks. You can also configuring EvilAP Defender to send notifications to your email whenever it discover an evil access point. and you can configure EvilAP Defender to perform DoS on on the legitimate wireless users to prevent them from connecting to the discovered evil AP, this will give the administrator more time to react. However, notice that the DoS will only be performed for evil APs which have the same SSID ( wifi Name ) but different BSSID (AP’s MAC address) or running on a different channel. after what command you are getting this error ?